Complete with a magnetic strip on the back so it can be placed on the fridge. I love that it has says ‘quarter past’, ‘half past’, ‘quarter to’ and ‘o’clock’ written on front of the clock. 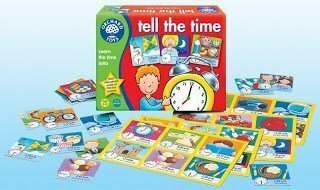 A great gift to help with teaching your child the time. There are 4 playing boards and 24 time pieces which are played faced down. Select a piece, turn it over and read out the time displayed. If it matches one of your squares on your playing board then you place it on top. If not, then return faced down. Keep playing until one player completed their board. 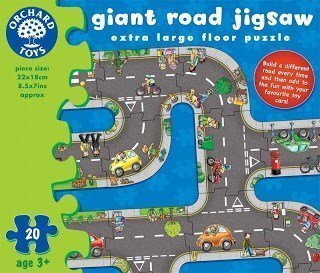 20 piece jigsaw that can be made into many different road layouts. I fabulous puzzle that changes every time they play with it. 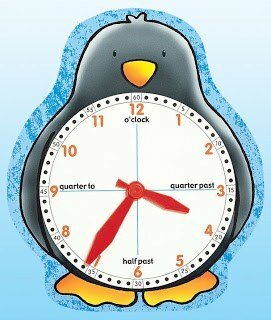 I’ve been lucky enough to secure a Penguin Face Clock to giveaway to one lucky winner. Please complete Rafflecopter below for your chance to win.